The Village at Hilton Community is an all brick community made up of about 200 homes of varying construction. The community offers a pool with a cabana, a private lake and friendly neighbors. It is also close to Lake Murray and conveniently located close to I-26 and Greater Columbia with it's vast array of shopping, dining and entertainment. 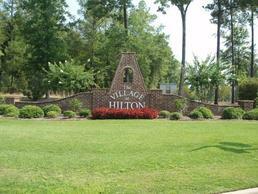 The Village at Hilton sits on the Richland/Lexington County line in Chapin, South Carolina. It offers close proximity to Lake Murray, while living in a close knit, small-town community. The Village at Hilton Neighborhood page provides information on just about anything you could ask. These homes are zoned for the award winning school district Lexington/Richland 5. Call our office today to view homes in this neighborhood!